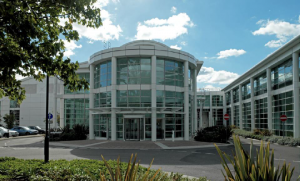 The National Physical Laboratory (NPL) is the United Kingdom’s national metrology institute, an internationally respected and independent centre of excellence in research, development and knowledge transfer in measurement. Founded in 1900 by the Royal Society, NPL is located in Teddington, London because that same year Bushy House and its grounds were given to NPL by Queen Victoria. NPL currently operates as a government company and employs over 800 people, with more than 550 of them technical and scientific experts spanning a wide range of disciplines, who annually deliver a turnover of appx. £80million in research and knowledge transfer programmes. NPL underpins the national measurement system, ensuring consistency and traceability of measurements throughout the UK (and many other institutes around the world). It ensures international equivalence of the SI through representation (as the UK delegates) in committees related to the metre convention and participation within formal comparisons (see www.bipm.org ). NPL offers a unique range of measurement services, contract research, and consultancy and training services. Other areas of expertise include the design and characterisation of engineering materials and mathematical software, especially its application to measurement and instrumentation. NPL continues to pioneer technologies and the application of these into new sectors. A relatively recent example is Earth Observation (EO), where NPL has taken a leading role in establishing a strong connection between metrology and EO; e.g. many primary optical radiometric techniques now being used throughout the world were pioneered at NPL. (including the development of the primary standard, the cryogenic radiometer). Cooperation for Space Standardization (ECSS) and ISO17025), propulsion and transportation, antennas and propagation, calibration and validation of Earth Observation instrumentation (chair of CEOS WGCV IVOS), EO data product Quality Assurance/Quality Control (QA/QC), advanced materials design and characterisation (including thermal control), ionising radiation and modelling uncertainties in Space systems. NPL has also been developing best practice guidance in conjunction with the EO community for detailed but generic Cal/Val activities, with specific organisations for particular measurement issues, and more generally in developing guidelines to support the Quality Assurance Framework for Earth Observation (QA4EO), which is gradually being adopted by ESA and other space agencies (www.qa4eo.org ). It also leads on the development of QA systems and processes for the EU climate services initiative through Copernicus and projects such as QA4ECV, FIDUCEO and GAIA-CLIM. Specifically for ocean colour radiometry, NPL involvement commenced in 2010 during the Assessment of In Situ Radiometric Capabilities for Coastal Water Remote Sensing Applications (ARC) project activities, when SI traceable NPL working standards were first used within the ocean colour community for absolute radiometric calibration. Subsequently, NPL and JRC conducted work together under the first Metrology for Earth Observation and Climate (MetEOC) European Metrology Research Programme (EMRP) to characterise in-situ OC radiometers to an uncertainty of ~1% for irradiance responsivity. Following this, as part of an ESA project supporting QA4EO we conducted the calibration of the European ocean colour vicarious calibration instrumented buoy (BOUSSOLE). Finally, we are also members of the Sentinel-3 validation team ocean colour group and are part of the vanguard carrying out uncertainty evaluation throughout the ocean colour measurement, validation and calibration process. Agnieszka Bialek received the MSc degree in Technical Physics from Wroclaw University of Technology, Poland in 2003. She has worked at the National Physical Laboratory, UK since 2006. Her current research is focused on uncertainty reduction in Earth Observation by implementation of rigorous SI traceability. In 2012 she started a part–time PhD at the University of Surrey with the aim of establishing SI traceability for satellite derived optical images, Land and Ocean, using vicarious calibration methodologies. Her scientific experience is related to optical measurements including absolute radiometric calibration and instrument characterisation as well as data modelling. Role in the project: WPs’ 200/301/302 – Scientific & Technical, WP 303 – Laboratory Task, WP400/500/600 – leader. Claire Greenwell received a BA and MSci degree in Natural Sciences from Newnham College, University of Cambridge in 2011, specialising in Experimental and Theoretical Physics. Since then she has been working at the National Physical Laboratory in the UK, in the Earth Observation, Climate and Optical group, as a Research Scientist. She has been working on a variety of optical measurement projects, including laboratory calibrations and fieldwork for the RadCalNet WG, which is developing a network of radiometric calibration sites for EO. Role in the project: WPs’ 301/302/302/600 – Scientific & Technical. 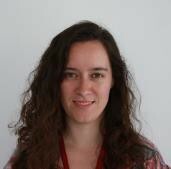 Dr Emma Woolliams is leading work on the application of metrological techniques (primary radiometry and uncertainty analysis) to Earth Observation. She develops techniques to bring NMI- quality metrology out to users through alternative traceability, spectrally resolved measurements and novel transfer standards. She has a particular interest in making uncertainty analysis simultaneously rigorous and straightforward for end-users and in the application of uncertainty analysis to satellite L1 products. Emma Woolliams participates in the RadCalNet WG, developing a network of radiometric calibration sites and leads workpackages of the MetEOC-2 and FIDUCEO projects. Emma joined NPL in 1998 with an MSci in ‘Physics with a year in Germany’ from Imperial College London. She obtained her PhD from Manchester University in 2003 with the thesis title: ‘Development and evaluation of a high temperature blackbody source for the realisation of NPL’s primary spectral irradiance scale’ using research performed as part of her job at NPL. Emma started her career by setting up the spectral irradiance facility at NPL and piloting the international key comparison of spectral irradiance. Her experience was broadened through projects on high temperature measurement, the calibration of Earth Observation sensors and the verification and testing of low energy lighting. She has gained a reputation as an expert in uncertainty analysis of radiometric data. She also led an international project to determine the temperature of new high temperature fixed point references, and presented the results at the Royal Society in a keynote presentation. She has published more than 30 peer reviewed papers and been an invited speaker at conferences. Role in the project: WPs’ 100/301/302/303 – Metrological Review. Teresa Goodman is a principal research scientist at NPL and has more than 30 years’ experience in optical radiation measurements, with broad knowledge and expertise across this area. She holds a BSc (Hons) in Physics from Imperial College of the University of London (1981) and is a recognised world expert in radiometry, photometry, mesopic photometry, spectroradiometry, spectrophotometry and visual appearance measurements. She is currently lead scientist for work related to the realisation, maintenance and dissemination of optical radiation measurement scales for sources, detectors and materials at NPL. Teresa is internationally recognised for her research and was elected to the post of Director of Division 2 of the International Commission on Illumination (CIE) for two terms, from 1999 until 2007. She then served as CIE Vice President-Publications (from 2007 to 2015), where she was responsible for ensuring the technical quality of CIE Publications produced by all the CIE Divisions. She now serves as CIE Secretary, where she is helping to shape the CIE’s scientific and technical priorities, coordinating terminology with other standardising bodies, improving the speed and efficiency of the work of the TCs and encouraging the take-up of CIE’s work. Teresa has worked as an assessor for optical radiation for the United Kingdom Accreditation Service (UKAS) on a regular basis for more than 25 years, and is involved in annual surveillance visits and re-assessment visits to laboratories with existing accreditation to ISO 17025 in the optical radiation field, as well being involved in pre-assessment and initial assessment visits for laboratories seeking accreditation for the first time. During these visits she has been responsible for technical assessment of all aspects of the optical radiation measurements (photometric, spectroradiometric, radiometric, spectrophotometric, colorimetric) carried out by the laboratories and, occasionally, for wider aspects of the quality control systems. She has also carried out assessments for other ISO 17025 accreditation bodies overseas, including assessments of several National Metrology Institutes. Role in the project: WPs’ 200/301/302/303/400 – Metrological Review. 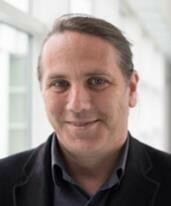 Dr Nigel Fox is the NPL Fellow and scientific lead of the Earth Observation, Climate and Optical group at NPL. He joined NPL in 1981 after obtaining a BSc degree in Physics and Astronomy from the University of London. In 1997 he was awarded a PhD for work undertaken at NPL, dissertation entitled “The Absolute Measurement of Spectral Radiant Power”. His research efforts at NPL have been largely concerned with the realisation of primary radiometric scales and methods to improve their dissemination. This has largely been focused on the development and use of detectors and detector based techniques for optical radiation measurement. In the 35 years since joining NPL he has published more than 100 scientific papers and filed two patents. He is a Fellow of the Institute of Physics and his personal research activities have spanned the spectral region from the UV to TIR (200 to 20,000 nm) with an emphasis on detector applications. In the broader metrology context he represents the UK on a number of international metrology committees including the Consultative Committee for Photometry and Radiometry (CCPR), the international committee responsible for the SI system units relating to optical radiation measurements and is also the official liaison between that committee and the WMO. Role in the project: WPs’ 100/500/600 – Science Review and Outreach.